Microsoft Visual Studio Code 1.28 was released a few days ago. 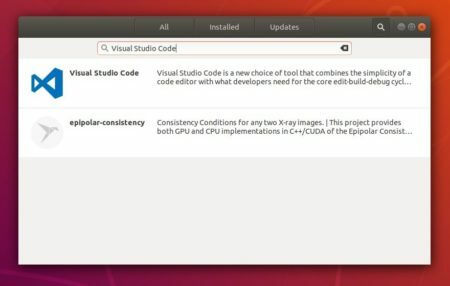 Here’s how to install it in Ubuntu 18.04. VS Code now ships custom icons reflect file type in your OS explorer. Snippets can now be scoped to a project and shared with your team. Editor Tab completion can now complete all kind of suggestions. New command to go to the location of your last edit. Rename a JS/TS file through it’s import path. Git improvements: better delete conflict handling, new rebase on sync option. Better Markdown folding: collapse code blocks, multi-line lists, and embedded HTML.